Are you looking for a good quality headset? There are many headsets to choose from and can get very complicated. For starters corded headsets will require a bottom cable or amplifier. Wireless headsets plug to the base of the phone. Depending on your work environment, there will be many factors in whether you get corded or wireless. Wireless headsets allow you to move freely, corded headsets do not. Here are a few recommended corded and wireless headsets. This is top of the line entry level headset works good with Cisco SPA phones. This is a very affordable quality headset. Starting at just 84.95 this headset has wide bound audio. Also comes with comfortable foam ear cushions for a comfortable all day where which many customers find is a great quality. This headset comes with a 2 year warranty and our bundle comes with all the cables needed for your phone. This Jabra Biz 2300 SPA headset is a step up, middle of the line from the Jabra Biz 1500 series headsets. The Jabra Biz 2300 offers clear sound with all your Cisco phone calls. This headset also comes with larger ear foam cushion for a comfortable wear. The wide band sound and noise advance cancelling microphone allows for the best audio sound possible. A feature many people are fond of when they make calls and receive calls. the Biz 2300 headset includes features Kevlar line cords to avoid breakage. 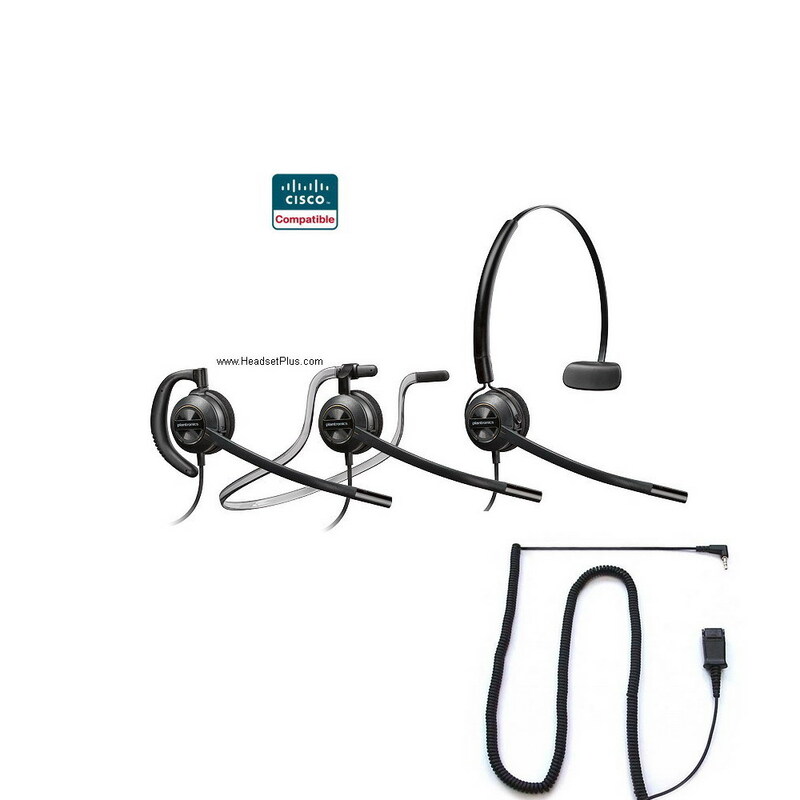 Like the Jabra Biz 1500, the Jabra biz 2300 also comes with the same two year warranty. This headset will last for many years to come. 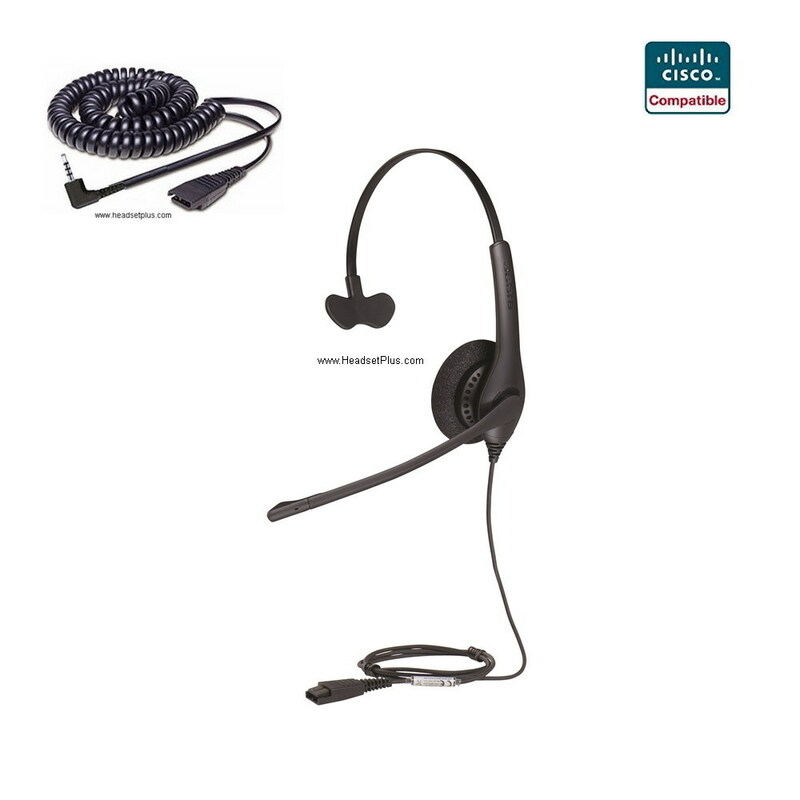 This is one of my favorite corded headset for the Cisco SPA phone models. You will go not wrong with this headset. 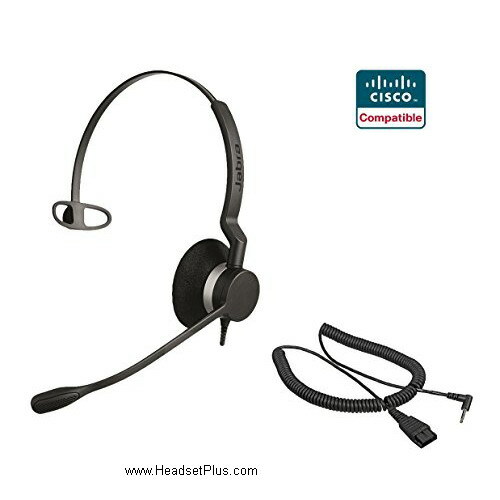 This is another mid range corded Cisco compatible SPA headset. The Plantronics HW540 is designed with quality and for all day comfort. The wide band audio delivers clear and crisp conversations for all your phone calls. With the noise cancelling microphone its no wonder our customers like to choose this headset. To top it off this headset comes with 3 different wearing styles (over-the-headset, over-the-ear, behind-the-neck) depending on your preferences. Many customers enjoy this headset because they have options and no constraint to just one wearing style. This headset also comes with a 2 year warranty and is constructed with metal joints providing unbeatable toughness. It will last for many years. You can not go wrong choosing this headset. One of our best selling headsets. your PC, Mobile and Desk Phone. 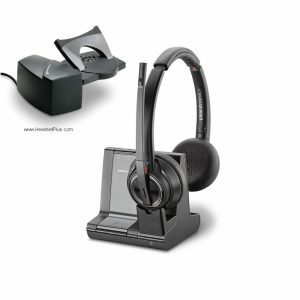 It is our most versatile headset and is ideal for customers who use a mix of PC mobile and their desk phone. It comes with up to 7 hours talk time. Like the CS 540 it also has 3 different wearing styles that customers can choose from. Not only is this headset our most versatile it is also equipped with wide band audio, noise cancellation microphone that filters out background noise making it have crisp clear audio. You can also conference call up to 3 additional headset users or audio can be mixed between any 2 phones bringing people together. This headset bundle includes everything need as well as a 1 years manufactures warranty. You cannot go wrong with this purchase. 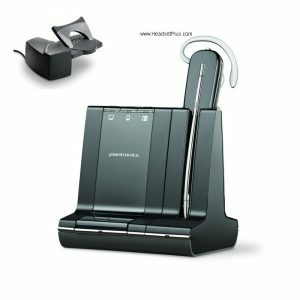 Plantronics Savi 8220 is the newest wireless headset and it’s my favorite of all the ones I’ve tried. It’s one of only few office headsets that’s equipped with active noise canceling technology to block out background office noise so you can hear the caller better. It comes with large padded leather ear cushions for all day comfort without ear fatigue. The only draw back I can see with these large ear cups is they do sweat if you’re in a “hot office” or if you work in a shop where there are no air conditioning. When fully charged, the battery last 13 hours of talk time, so you can use it easily for 2 days without charging. This package comes with the HL10 lifter for remote answering up to 350ft away in a typical office. Like the W740, it can also connect to a computer USB port and a Bluetooth cell phone, so you can use the same headset for all 3 devices. 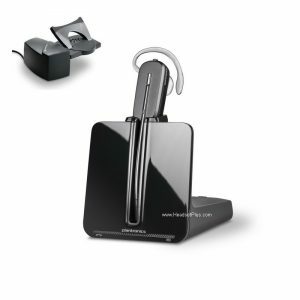 If you have any questions on headset compatibly with the VoIP phones, feel free to call one of our headset experts at HeadsetPlus.com 877-999-3838.